JOPLIN, MISSOURI – January 31, 2019 – Building Materials Distributors, Inc. (BMD) is now distributing TAMKO Building Products, Inc.’s Envision® composite decking in southern California. Backed by TAMKO’s 75 years in business including two decades of superior composite decking manufacturing, Envision is one of the most prominent and recognizable brands in the market. BMD is carrying the complete line of TAMKO’s Envision and EverGrain decking at its branch in Perris, California. Envision Distinction® – the luxury collection with bold highlights and dramatic color that create a crave-worthy deck like no other. Envision Inspiration® – the signature collection, adding warmth and character to outdoor living with the look of reclaimed wood. Envision Expression® – the simplicity collection, all the quality Envision is known for in a tasteful single-color board. EverGrain® Classic – the preferred line of uncapped composite decking by many long-time installers. TAMKO’s Director of Decking Sales and Marketing, Shara Gamble, says the longtime manufacturer’s focus on quality business relationships aimed at growth led them to join forces with BMD. 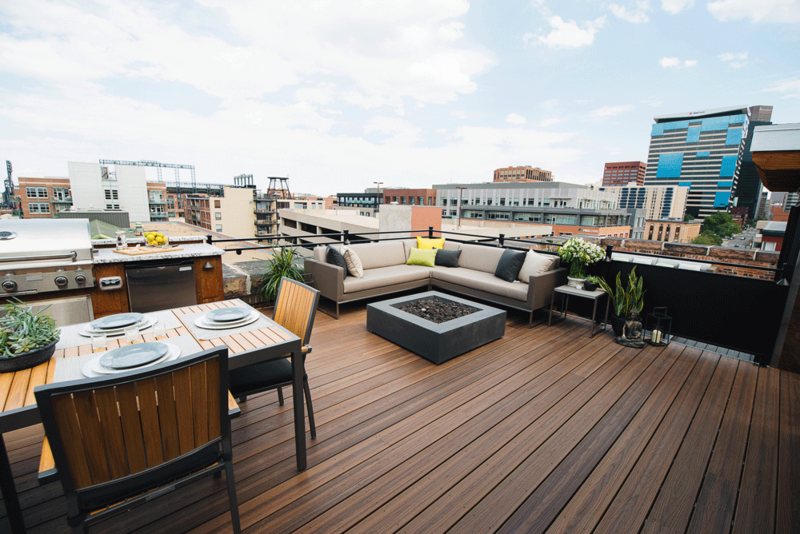 “As a specialty distributor with a long, rich history like TAMKO, BMD is a great fit for our Envision and EverGrain premium composite decking products. We’re already seeing increased demand for the unmatched beauty of Envision in the southern Cal market and we look forward to continued success with BMD,” Gamble said. Established in 1943, BMD is an employee owned distributor and manufacturer of specialty building products and millwork. BMD is headquartered in Galt, California with distribution centers in Perris and Eureka California; Colorado Springs, Colorado; Memphis, Tennessee; Centralia, Washington; Dunn, North Carolina; and Santa Fe, New Mexico; and manufacturing facilities in Sacramento, California and Old Fort, North Carolina. About Building Material Distributors, Inc. Established in 1943, BMD is a distributor and manufacturer of specialty building products and millwork. BMD supplies specialty products to builders, contractors, remodelers, independent lumberyards, regional building material dealers, window and door specialty retailers, garage door dealers, hardware retailers, and home centers. For more information visit their website at www.bmdusa.com.